We are the leading manufacturer and exporter of excellent quality Stainless Steel Kitchen Baskets, Modular Kitchen Unit, Stainless Steel Rack, Stainless Steel Dustbin etc. 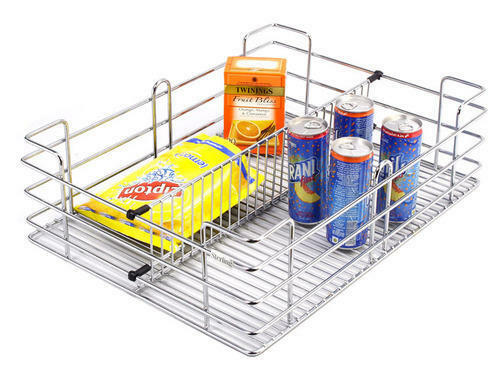 We are counted as the foremost manufacturer and exporter of a premium quality range of Stainless Steel Kitchen Baskets, Modular Kitchen Unit, Stainless Steel Rack, Stainless Steel Dustbin etc. The offered products are manufactured using the high quality raw material with the help of advanced technology as per the set industry standards. These products are highly appreciated for features like durable finish, high strength, sturdy construction, smooth surface finish and dimensional accuracy. Our valuable clients can avail these products from us in different specifications at market leading price.